As per usual, the DeKalb schools board meetings have become a mundane session of rubber-stamping whatever the superintendent brings to the fore. We have questions, but our questions go unanswered or tabled or discussed outside of the public’s view. The agenda can be found at the eBoard home page (CLICK HERE) … if you would like to know what will be discussed. We are waiting on information. 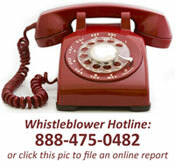 We are waiting for the board to ask for public input as is described in the superintendent search timeline found here. So far, we have seen very little action on this critical decision. It is starting to look like we may have another opaque search process. It’s a year old – time to evaluate and update this plan, but mum continues to be the word on the subject. Why? Has the board made a decision as to its flexibility plan? Are they really going to attempt to become a charter district? Read more about the options here >> Flexibility Decision – What Will DeKalb Schools Choose? How many international teachers are working in the district currently? September, 2013 a parent got an ORR showing there were more than the number approved by the BOE which is why in Oct. 2013 Ward-Smith and Howe asked for an increase in the contract. 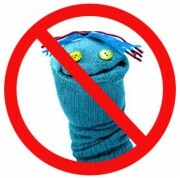 HR has ignored the BOE approval for the numbers of international teachers to hire, and got caught so they did some CYA. Now they want $25 for a new ORR. They really don’t want parents to know how great our teacher shortage really is. Trust us, they will never answer this. Just like Thurmond is sticking to his [false] statement that 600+ Central Office jobs were cut. Our questions continue to go unanswered by this board just the same as boards before. 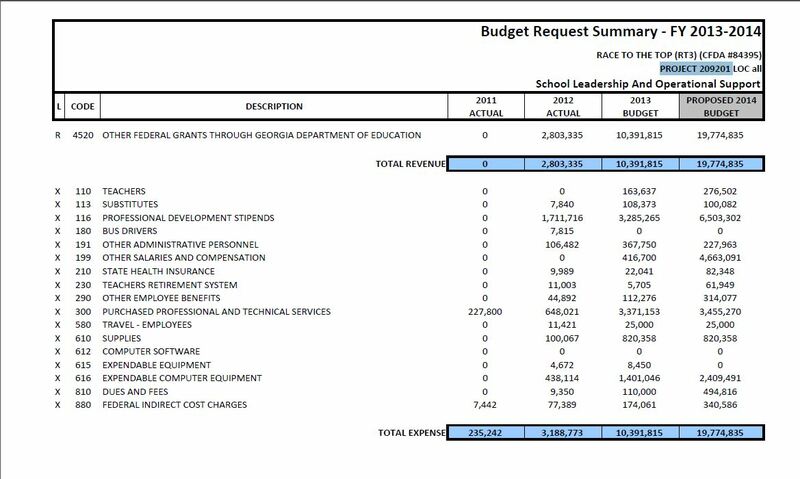 Also, looking at the meeting minutes (posted here) of the October 8, 2014 work session, we see a continued heavy investment in legal services, while cuts and small amounts of spending on students and equipment necessary for learning. 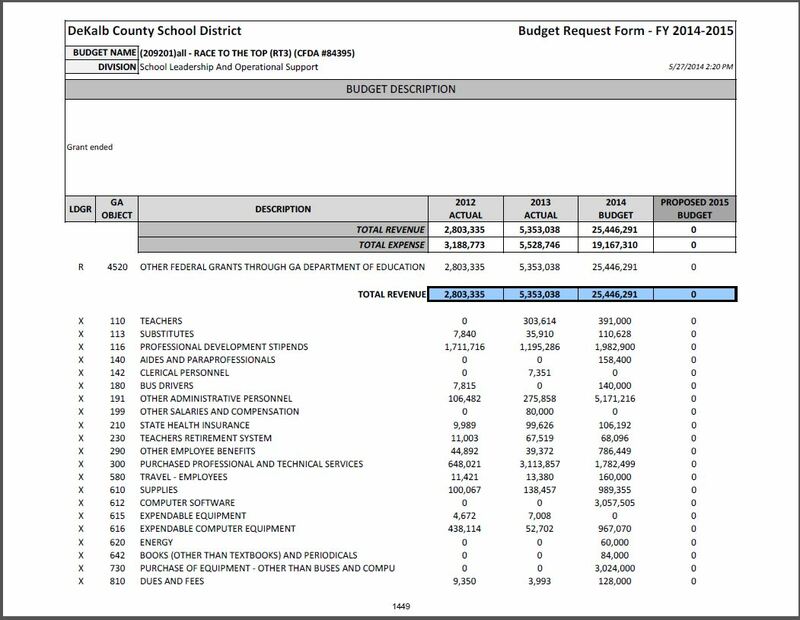 Ms. Susan W. Setterstrom, Associate Legal Officer, Risk Management Unit, Division of Legal Affairs, requested that the Board of Education grant authorization to pay the renewal cost for TPA services, in the amount of $463,590, for the period November 1, 2014 through November 1, 2015 with Brentwood Services. Ms. Stacey E. Stepney, Director, Pre K-12 Program, Division of Curriculum & Instruction, requested that the Board of Education approve Bid Contract #14-163, to authorize the District to purchase musical instruments and equipment, in an amount not to exceed $100,000. This is followed by a lot of SPLOST IV spending on buildings with the penny sales tax proceeds. Don’t take your eye off the shell… ballparking, there is about a $5 million difference between the approved 2014 budget and the numbers listed as the 2014 budget in the 2015 budget. When Dr. Bell went to the BOE with his mid-year budget adjustments, he wouldn’t answer any of their questions regarding how the money was being spent. We are seeing some of those changes on these pages. Travel (line 580) went from $25,000 to $160,000 – That is a lot of travel! Overall, we remain greatly disappointed in the work product [or lack thereof] of this administration and this board. We will not expect any improvements unless and until we are able to hire a new, professional school superintendent who understands education and who can lead with energy, integrity and a healthy respect for teaching and a new HR director who has years of corporate experience in managing staffing, motivation, paperwork, payroll and benefits. These two jobs are critical and we will make no progress until they are filled by professionals. To watch the meetings on December 8, go to COMCAST 24 or your tv or stream them live HERE. Report what you see in the comments below. This entry was posted in Board of Education Meetings, Budget Cuts, Charter School, Charter School Amendment, DeKalb County [GA] Board of Education, DeKalb County, Georgia, Education in the South, GA Legislature / Laws / O.C.G.A., Georgia Education, Michael Thurmond, SACS/Accreditation, SPLOST IV, Uncategorized and tagged DeKalb County Schools, flexibility plan, georgia, Michael Thurmond, school board meetings. Bookmark the permalink. As you know, Parent Councils United has been following the superintendent search process. According to the Board of Education meeting agenda for Monday, December 8th, you will be discussing the superintendent search during your 2:00 work session. PCU is happy to see the search on your agenda, but we are disappointed that there are no action items related to a vote on a search firm or the appointment of an independent search committee. Because the most recent RFP for search firms only yielded one proposal, you may not have a choice on this matter. However, the fact that DeKalb only received one bid (out of 130 firms solicited) makes it even more critical that the community is involved in the process. Business and education leaders are willing to step up for the sake of our students. These individuals are immediately ready to help attract and select the top-tier superintendent candidate that our children deserve. Please consider inviting them to your work session and including them in your deliberations. They can demonstrate to potential leaders that DeKalb is a good place to live and work. Search firms may not have gotten the message that DeKalb is a great place to work, but for the sake of our students, superintendent candidates must get that message. This hasn’tbeen vetted, but some very interesting points have definitely been brought up for discussion. Must comment again that many of the administrative positions that were cut were workers from Sam Moss and the maintenance staff that maintains the poor decrepit buildings and systems in this very old not well maintained system. Plenty of admin people still hanging around, while the people who maintain your schools and buses were cut almost in half. 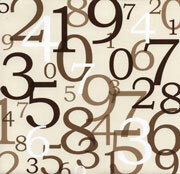 He acheived these numbers on the backs of the workers and students. So glad he got a position and will for sure be leaving–good riddance–why is Ramona Tyson still collecting a check?!?! My priorities are a lot different. First, priority needs to be given to finding a new, permanent, qualified superintendent with experience running a mid-tier school system with proven results. It is absolutely essential that the public be asked for input and that it be seriously considered. Otherwise, the school board will be ignoring a critical entity needed to support its ultimate decision. Second, there should be absolutely no increase in any non-classroom expense until this board has taken action to restore the teachers’ TRA contributions and moved to settle the teachers’ lawsuit. There should be a reduction (and a big one at that!) in legal expenses. I really want to support this school board, but their priorities seem to be on maintaining the status quo and on areas that don’t support the classroom. We need a new, qualified superintendent. We need a new Human Resources Director. We need to reduce legal expenses. We need to improve the working relationship with our teachers. The public needs to be heard and its concerns taken seriously. But none of these items seems to be important to this school board. I wish that members of this board would attend one of the Lavista City meetings or one of the Tucker meetings or community meetings in Druid Hills, Dunwoody, or Brookhaven to hear just how unpopular this board and this administration really is. Our kids are grown and gone but, everyday, I watch our neighbors take their children to private schools spending money they shouldn’t have to spend while also paying the highest millage rate in the State. Surely we can run a school system better than this. Howdy — you are right, of course. We think few people would disagree with what should happen. 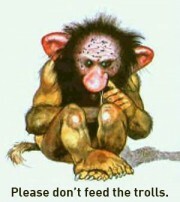 Unfortunately, all of what you said has been stated over and over and over and over .. ad nauseum. The reality is that deeply embedded corruption — which includes the Friends-and-Family Jobs Program — drives the self-serving actions of Palace administrators and school board members. We have to play the hand we are dealt. New highly qualified superintendent? Not on your nellie! The Palace and the school board have managed to hold off getting a decent superintendent for 10 or 12 years now. They believe they can continue as long as they want and no one can make them do differently. Public input? Seriously considered? The Palace and the school board thumb their collective noses at the public. By now, most of the public knows that public input has never been and will not be considered. No increase in any non-classroom expense until TSA (that’s Tax-Sheltered Annuity, Howdy) is settled and restored? A big reduction in legal expenses? How would we know? The Palace does not provide a detailed, line-item budget. The Palace, supported by the school board refuses to provide an on-line checkbook so we can see — really know for sure — where every dollar goes. The tangled tentacles of corruption in DeKalb County Schools are fueled by untrackable monies, access to absolute power, lies, and secrecy. New, experienced human resources director? Why is that? Just because the current one is totally unqualified? That’s not the way the Palace and the school board see it. She is totally qualified because she does their bidding in terms of lies, secrecy and enabling access to absolute power. And she keeps her mouth shut. The Palace administration and the school board should attend city and community meetings so they can “find out” just how unpopular they are? Seriously? They know. They. Don’t. Care. Howdy, what you state is absolutely, unequivocally correct. It is also pie-in-the-sky. (1) Why do you think that the Palace administrators and school board members — all of whom are overpaid to care about successfully educating our children — don’t care and have zero interest in anything other than keeping their overpaid jobs and using and abusing the power they get by maintaining the Friends-and-Family Jobs Program? (2) What action steps need to be taken to reverse and resolve this situation? By Monday, December 15, please send your answers to one or both questions (above) to DeKalb School Watch’s e-mail, dekalbschoolwatch@gmail.com. We will compile all answers into an unattributed list that will not personally identify you or put you at risk — and publish those answers. There has got to be a way we can all get behind to take back our schools, bought and paid for with our tax dollars — state and federal. The Friends and Family plan helped destroy the Dekalb School District. The board had better come up with a way to find good principals instead of assigning woefully unprepared ones with a family connection. It’s funny that once Mr. Arnold, area superintendent, started looking and asking questions, the Lakeside teachers suddenly get a teacher handbook for the year in December. The first handbook since Mr. Declyne became principal. Lakeside teachers and students get an examination schedule on Monday. I’d like to know when the area superintendent realized that the principal knew so little about running a school. It took the parents over a year to figure out that not everything bad about Lakeside came from the School District. Henderson Middle School and the feeder elementary schools are running pretty well. Lakeside can’t make it through another semester. Santa Claus, give Lakeside an experienced and competent principal for Christmas. Ah!! To recap – even WE could not have predicted what ACTUALLY went down at this meeting (which started 40 minutes late). The school board did a 180 flip on their agenda and devoted all of their energy and effort into creating a damning report about the Druid Hills effort to annex with the City of Atlanta. Seems the gauntlet has been thrown down – this is looking like a war. Stand by – we are gathering info for a full report. Incredible. Unbelievable. I wasn’t at this particular meeting – did they say anything about searching for a new superintendent? What about settling differences with the teachers? What about reducing legal expenses? This group of people just absolutely refuses to reach out to others who don’t share their view and find some workable solution. I deeply resent the tone of Mr. Thurmond’s threats. @howdy: No, no and no. In fact, our legal fees will now increase exponentially, as Thurmond has pledged to fight annexation in the courts. Actually, Melvin talks about it in the Committee of the Whole meeting. He has Ramona give us a ‘tour’ of the webpage focused on the search. She tells us, “Prominently located, you will see the prominent header.. and then 6 tabs in blue”. Dates listed will be the dates the page was updated. They sent out two RFQs (back on AUGUST 9 !!). So far, that looks like that’s about all they’ve done. They didn’t have much response, so they rebid it somehow. She painstakingly goes through the site tab by tab. It’s a lot of blow, but not much action. Once they do get bids, they will open the process to the public. They will communicate the process and you will be able to sign up for email updates. You can email them your feedback. Thad asked if the board could get the public feedback. Tyson said yes, if that’s what the board wants. You can also send questions in. We suggest that you all start doing that! 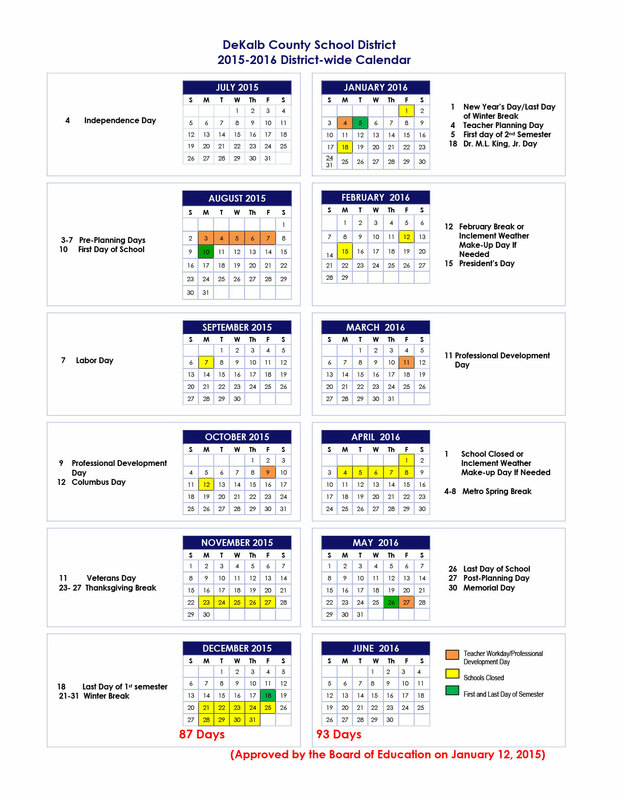 Of note:: At the January 12, 2015 meeting, the Board calendar will be established for the period beginning February 2015. We will update and provide the remaining meetings at that time. BTW – just making sure you all heard about the 90 (yes NINETY) bus batteries that were stolen from DCSS buses. Now that seems impossible — unless you have access. Getting back to what we would have liked to have heard discussed — how to attract and keep quality teachers. How many do we need? How many long term subs are teaching our children? How many international teachers on a contract? I have been counseled on the DeKalb County School District’s Attendance Policy, which details the importance of timeliness and accuracy in signing in and out daily. I understand and will abide by the terms and conditions of the Attendance Policy. I understand that violations of the Attendance Policy may be considered unethical conduct in violation of the DeKalb County School District’s Board Policies and the Code of Ethics for Educators. I understand that if I am found to have violated these policies, I could be subject to administrative and/or disciplinary action up to, and including, termination. Sigh. This is on top and in the face of the lawsuit between the teachers and the board for violating the board’s promise to pay into a tax sheltered annuity in lieu of Social Security. Really. The disconnect is astounding. The following letter went out to board members, staff members and media. This issue, was never addressed whatsoever. No one ever questions Dr. Smith. We are beginning to wonder why. Works Session Agenda Item “C. 6. Southern Behavioral Group (SBG) Contractual Services” is asking for an additional $330,000 on top of the $300,000 already approved? That is an increase of over 100%. How did they get it so wrong? The wording of the Details for the agenda item indicates DeKalb County Schools has lost the one BCBA it employed in June and have not been able to fill either of the two positions. Is one BCBA worth $300,000? This represents a failure by the Human Resources Department to address the needs of the students. I searched for Behavior Analyst positions today and could not find a listing for them in PATS. Is HR even trying to fill these positions or have they decided to outsource them? I do not question the need for the services Southern Behavioral Group provides. I know there needs to be more support for the students and teachers. I question the cost-effectiveness of outsourcing these these services. Contract employees do not have the same level of commitment to students as district employees do. Contract employees do not take a “long view” nor consider long-term relationships with students and their families. Please question Dr. Smith about these positions and the HR department’s failure to fill them. I am attaching a picture from the PATS website showing 24 SPED vacancies, but none of them for a Behavior Analyst. Anyone interested can read Karen Carter’s farewell letter to the public in Peach Pundit. It’s the most she’s ever said… and it’s really just a pat on her own back. Certainly no one else would do it. Open Letter To DeKalb County Community -Karen Carter, J.D. The interview of ProAct is happening right now on PDS 24. The responses from Mr. Solomon are very thorough, informed and obviously coming from someone who seems to know his craft. We would be surprised if the board rejected this proposal and went back to the drawing board for a third RFQ. McMahan made a move to add an action item to the agenda to hire ProAct. Thad seconded. Little discussion. Item added. Called for vote. Unanimous to amend the agenda. Then motion to hire ProAct. Dr Morley moved. Campbell seconded. John made a comment. Impressed by presentation. Good credentials. Specific examples showing they can respond to a large range of challenges. Injected his opinion – likes the engagement of the broader community. Hesitations about bringing in 3 or 4 finalists for public review. Thinks it could lead to unintended consequences. (He obviously didn’t witness the last search – the presentation of the finalists was very enlightening and important. Unfortunately, Dr Walker pushed against public opinion and insisted on hiring Dr Atkinson after sabotaging the other candidates. We only know this – due to the public presentation of the finalists.) Morely says there must be a place for a committee to be held and be a part of this. It must be stipulated and stated as to where this committee would be. Integrity of the process and to protect the people you recruit. We have to be realistic about our roles – stay in our lanes – every time we bring in these factions it heightens (something?). Thad – hopes board will consider a collaborative committee to help the board with the search. High level stakeholders are needed to help make the superintendent successful. Helps the public be more comfortable with the process and the post hiring. McMahan says he’s never hired a superintendent before (wasn’t he on the board that hired Thurmond???) … have 2 members who are in higher ed – Irwin and Carter (who go off the board in Jan) – wonders who does the hiring at their universities. McMahan seems confused about how to go about doing this (perhaps because he was only involved in hiring Thurmond behind the scenes and without public input). Carter says the university search looks a lot like what ProAct is proposing. (McMAhan beat out Carter for the District 4 seat, go figure.) Morely says she too has been involved in a search and it went a lot like ProAct is proposing. McMahan continues to grill Solomon with questions (why does he never do this at board meetings to the staff??). I predict the board approves PatheticAct tonight because they want to have committed to the “search” firm before Stan takes office. The actual candidates for Superintendent are the current DCSS Administrators who are allowed to address the board during meetings…. one of them will be Thurmond’s replacement. ORSON: Presentation well done. Wealth of experience. We have some division about the process. I don’t think Coleman and Mayfield’s comments are incompatible with the board’s direction. Initial sifting could be done. Emerging from a crisis to seeing some stability. Points out that Jim was involved in hiring Thurmond. Crisis situation. “Our super was gone and we needed to find a super and Thurmond was available.” Public felt disengaged – also felt disengaged with previous hiring. Develop broad characteristics from community. That’s important. (ProAct) has high marks for doing this well. This can work with a high level stakeholder committee. We’re rebuilding public trust. There has been a consistent message that a subset of the community would like a more active role in vetting – leaving the ultimate decision to the board. Melvin: What I hear – Solomon explains everything we’ve talked about. The board and ProAct will be involved in the total process. Community will be used in engagement in the process to ensure that each part of the community is involved. The board will have the final 3 candidates to vote on after the process. Wrong? Thad: As I understood, the board will make decisions. The motion is to hire the firm – not whether or not we decide about a support committee. This is just a vote to hire – not a vote on the structure. Melvin: Want to make sure the community understands – the board makes the decision – but the community is involved in the process. Morely – at some point this board needs to stop delaying. You cannot have everyone from top to bottom throughout the process. I will not be a part of a board that does this injustice to boys and girls because we want to make the process our way or to our own goals, and personal wants and wishes. If we want to have our own groups to evaluate – then what do we need the search firm for? Orson: I advise to make the motion to simply hire the firm. We don’t need to include the processes. (Melvin: Well, you brought it up.) Orson: the only action is yes or no do we hire ProAct. Solomon: We will work on a schedule/calendar. Need to write up traits and characteristics you are looking for. You also need to think about who you would like for thought partners. I will write up what we need to do next for you all to review.